Brief Synopsis – A young Chinese girl disguises herself as a man to fight against the huns and restore her family honor. My Take on it – This IMHO is one of the weakest Disney animated movies made during the Renaissance of the 90’s. 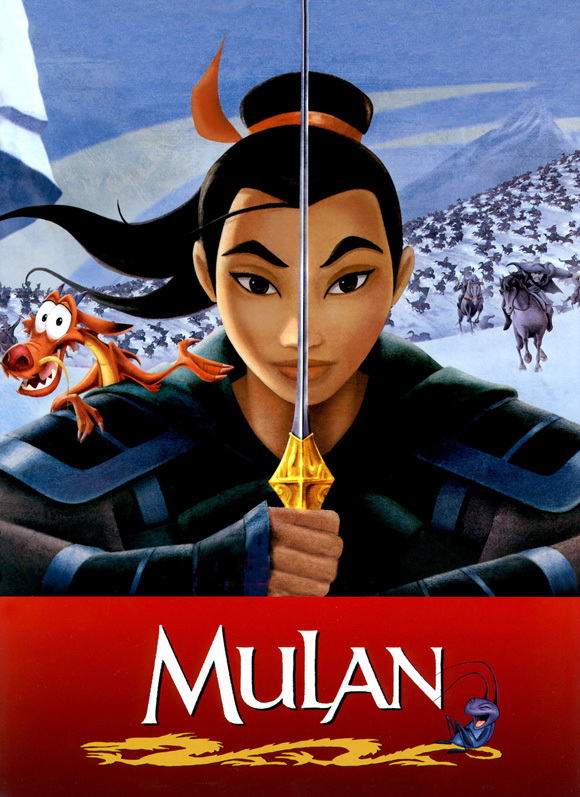 I didnt like most of the characters besides Mulan herself, the script was poorly written and most of the humorous moments weren’t very funny. On the other hand, just like in almost all Disney movies, the animation is amazingly done and the detail is great. Ironically, had this been made by any other animation studio, it would be considered above average, but when comparing it to other movies made by disney it just doesn’t match up. When I was younger I always thought the leader of the Huns was really scary. Still do! I also really like the training song. “Be a Man”?? That song is the BEST!! Yeah, pretty sure that’s the one! Such a tune.